Jackson McDonald's recently hosted "Everybody Counts Night's" on Oct. 5 and 6, from 4-8pm, where 20% of all proceeds were donated back to the Jackson R-2 Parent Partnership Council. These evenings coinsided with the districts week long activities promoting, "Everybody Counts" Awareness Week. 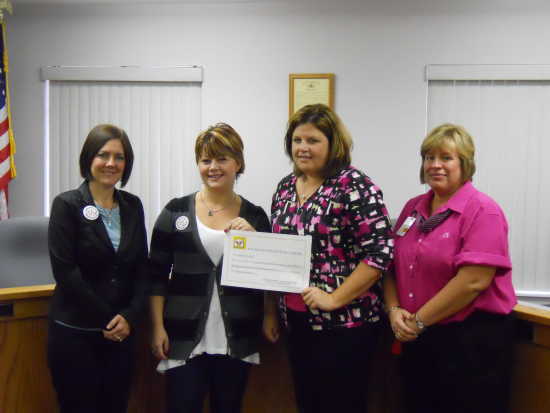 Accepting a check for the Parents Partnership were: Melissa Baer and Traci Ritter,presenting check were: Cheryl Farrow, Supervisor for McDonald's, and Donna Martin, Jackson McDonald's Store Manager.